Why Study Abroad For Just A Semester? Podcast: Is it Safe to Study Abroad? Podcast: Why Pursue Higher Education in Europe? “You get what you pay for” is a response I sometimes see posted on Facebook about the college costs in Europe. Why people feel compelled to respond to something that they know nothing about-and state it as fact-is beyond me. It’s also simply not true-even about higher education in the US! Does a student paying out of state tuition receive a substantially superior education than the student paying in state tuition? No! It’s similar in Europe, one of the reasons tuition is so reasonable is because it is subsidized by the country. 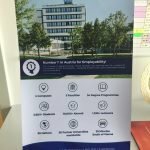 One of the schools I visited a few months ago, Wiener Neustadt University of Applied Science, provides an excellent example of how “you get what you pay for” is false. Students pay just 726 euros (about $818) per year for their English- taught Business Consultancy bachelor’s program. That’s just incredible to me. They will pay less for their entire three years of tuition than many overnight summer camps costs here in the US! anagement, finance, economics, marketing, and law. Students can also chose to do a semester abroad during their third semester. Remember, students continue to pay the Wiener Neudstat tuition during that semester, even though the tuition at the study abroad school is almost guaranteed to be much, much higher! Consultancy-specific courses begin in the fourth semester, along with those related to the students chosen specialty. The specialization options are; International Accounting and Finance, Marketing and Sales or Management and Leadership. The programs ends with a mandatory internship in the sixth semester. The practical knowledge is not confined to the internship. Almost half of the classes are taught by industry experts and case studies are incorporated throughout the curriculum. students are international students from all around the world. In addition to appreciating the multicultural perspective they gain, they also noted that this large percentage means that the program addresses the needs of international students (academic and non-academic). The students noted that the professors are very accessible to students and get to know them. Most of the classes are in groups of 20 and include discussion, group work and such. There is only one lecture course each semester that has all 80 students. Jack and Vanessa both live in the school’s student residences. These cost 330 euros per month for a single bedroom and a bathroom and kitchen that is shared with one other student. They both enjoy the international feel in the student residences and community it provides. Vanessa’s dorm arranges an international Sunday dinner each week in which students from different countries host and serve a meal. Dashaun lives with friends in Vienna and commutes to school. Her commute is just 30 minutes each way by train and her student train pass is just 150 euros per semester! Though there are a few places in town that students hang out it, they often head to Vienna social opportunities as well. The only drawback I saw to this program was the location. The town is small and the campus is a good 10 minute drive from the city center. However, there is a new campus opening this October in the heart of the city center. The design blends old and new, with an old church functioning as the library and modern buildings serving as classrooms and IT labs. The facility is walking distance to the train station and there is a free bus that connects the old campus to the new. Further, by living in Wiener Neustadt, students are able to access nearby Vienna easily, while paying much lower living costs. Because they are funded by the state, the school has to prove that they are a good investment. How do they prove this? With educational outcomes pertaining to employment. How do they achieve those outcomes? With a strong curriculum, practical experience, and an impressive and international student body. 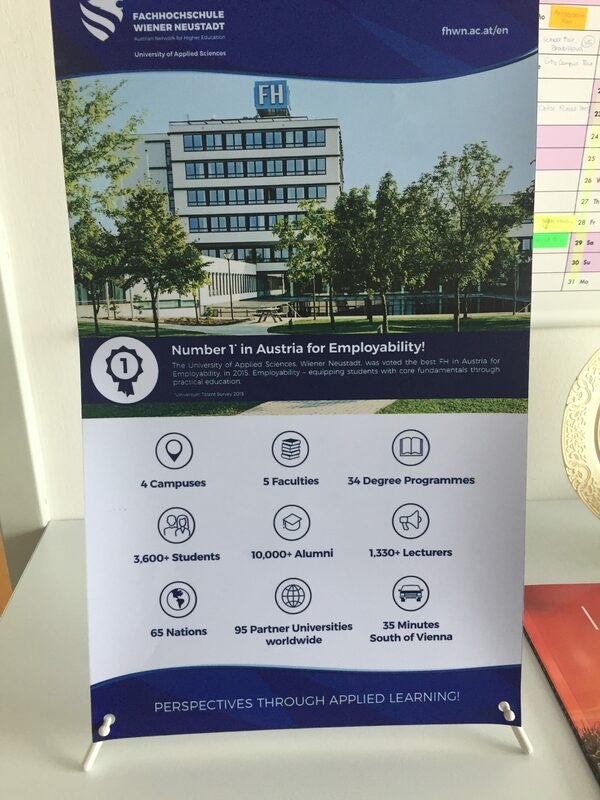 It’s not surprising that the school has the highest employment rate of all the Austrian universities of applied sciences! In fact, they find that companies seek the out to recruit students for internships. So I guess the statement “you get what you pay for” does apply here. The state gets what they pay for so the students don’t have to foot the bill. I didn’t visit McDaniel College the first time I was in Budapest. There are a handful of American universities in Europe that I have a number of concerns about. Some of them focus on and cater more to American exchange students, which certainly affects the experience for full degree students. Others charge “American sized” tuition, which I don’t think is justified. Though McDaniel College in Budapest has a very reasonable tuition, it wasn’t on my high priority list a few years ago. After visiting Anglo-American University in Prague, one of my favorites and a Beyond the States member favorite as well, I realized that I needed to check McDaniel out. I added a day to my recent trip and took a short two and a half hour train ride from Vienna to Budapest. McDaniel College in based in Maryland and is listed as one of the Colleges that Change Lives. They note the personalized, interdisciplinary curriculum, experiential leaning opportunities, and student-faculty collaboration as stand out qualities. The Budapest campus is now a full branch campus of McDaniel and the qualities noted by Colleges that Change lives absolutely extend to this campus. Class size does not exceed 15 students, there are not straight lectures courses and students and professors have direct relationships. I was struck by the innovative and interdisciplinary classes they developed for this campus. For instance, there is a journalism class called From Garden to Table (you should really check this one out-it’s fascinating), a relevant Migration on the Move course, and a new course called Psychology on the Big Screen. Students can major in Business Administration, Political Science & International Studies, Communication, Psychology, or Art History & Studio Art. This does not need to be decided at enrollment. Students are encouraged to sample courses from different departments and can easily change majors. Like US universities, McDaniel provides resources for non-academic needs as well. There is a staff member who helps with housing, a mental health counselor, and support available 24/7. All of this sounded great, but I had one remaining concern-the school size. 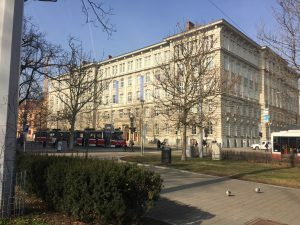 There are only 150 total students at the Budapest campus, and this includes 20-30 exchange students they have each semester. When a school is this small, my concerns include class selection, student resources, and student life. Many of these concerns were quickly alleviated. They have strong student resources in place. Though somewhat limited in number (just over 50 each semester) ,they have sufficient diverse and interesting classes offered every semester. But what about student life? I went to a small high school and the entire student body at McDaniel is just a bit larger than my graduating class in high school! McDaniel let the students speak to these concerns themselves and arranged for me to meet with a group of international students. One thing to note is that the student body represents 36 different countries. This diversity was represented with this group of students I met with. The group I met with included; Moburak, a Nigerian student who is the head of the Student Advisor Council; Dana and Stephanie who transferred from a community college in California; Rush, a student from DC who transferred from Trinity College in Connecticut; Claudia, a local student; Malisa, a student from Iran, and Dan who is a degree seeking student at the Maryland campus doing a semester in Budapest for a second year. Dan’s perspective was particularly interesting since he could compare the experiences provided by both campuses. He takes a lot of literature courses and noted that theses courses in Budapest are stronger, with better and deeper class discussion. He loves the Budapest campus so much that he plans to transfer and begin studying full time next year. All of the students spoke very highly of the educational quality and course selection. They also had wonderful things to say about the student life. In Europe, student life is not confined to campus and all the students spoke of the abundant social opportunities provided by Budapest. Most of the students said that their friend group consists mostly of McDaniel students, but Moburuk stated that that usually changes during the second year when the social group expands to students from other universities that you meet when you are out and at parties. The Student Advisory Council arranges a number of event throughout the year that include orientation events, pub crawls and movie nights. This year they have organized a trip to Montenegro (which has been on my short list for travel). Students pay just 200 euros for flights, food and accommodation! That brings me to price. Budapest is an incredibly affordable city! The students I met with pay between $250-300 per month when they share an apartment, and some live alone for around $550 per month. 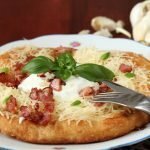 Monthly transportation passes cost under $35 and you can get a langos, one of my favorite Hungarian dishes, for about $1.50. But here’s the incredible part-tuition. If you attend McDaniel in Maryland, you will pay $43,260 for tuition. 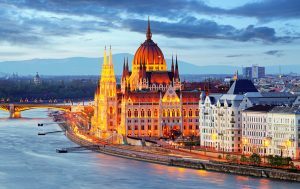 In Budapest, you will pay just about $8,000 per year! Further, students who chose to spend a semester studying at the Maryland campus continue to pay the Budapest tuition price! Further, they accept FAFSA and the GI Bill. I asked the students what they say to people who say, regarding European tuition, “You get what you pay for”. Stephanie hit the nail on the head when she responded “It’s not about this being inexpensive, but about American education being way too expensive”. So true! If you are ready to learn more about life-changing and AFFORDABLE options, I invite you to join Beyond the States. I would not have been able to name a city, other than Prague, in the Czech Republic before starting Beyond the States. I certainly would not have thought that the city of Brno is consistently rated one of the top ten student cities in the world! There are 70,000 students in this city of 400,000, making it a lively place with lots of opportunities for student life. Brno itself has been called “Little Vienna”, since many of the same builders and architects developed the city when the city walls were taken down in the 1850’s. 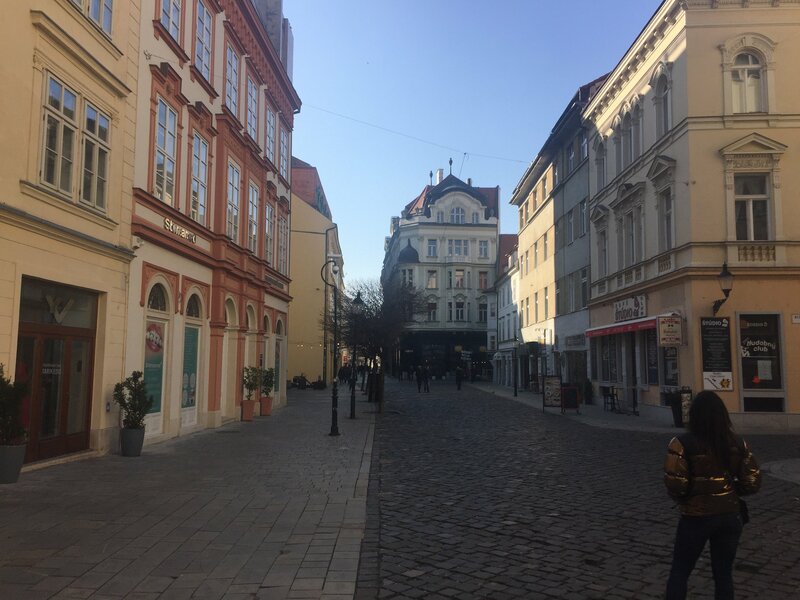 A university administrator told me that the sense of community throughout Brno makes it feel like a village, though it is actually the Czech Republic’s second largest city. To me, Brno felt like a large campus, due to the abundance of universities and students throughout the city. Having been in Vienna before I arrived in Brno, I was also struck by the lack of tourists in the city. It’s not just students that are attracted to Brno. IBM, Honeywell, and Red Hat are just a few of the multinational companies with large offices in the city. These companies often look to the university students when hiring English-speaking, part-time employees. Another benefit to living outside of capital cities is the affordability factor. Most universities in the Czech Republic have their own housing. Single rooms in Brno generally cost around $150 per month. Meals in student canteens can be found for under $3, and a monthly transportation pass for students is just $12 per month. This leaves plenty of budget left to explore nearby capital cities during the weekends! Students can get to Prague, Budapest, and Krakow in just around two hours and Vienna and Bratislava in just one. I often visit cities that have a beautiful city center, but areas outside this section are more run down. I did not have that experience in Brno. I walked in many different parts of the city and noted how well-maintained it was. Further, I was also struck by the excellent condition of all the buildings were at both schools I visited. This is not the case with public universities in many countries. Even public universities in Prague were not as well restored. This may be due to the fact that the Brno area and universities had a very different experience under the communist regime than the universities in Prague. 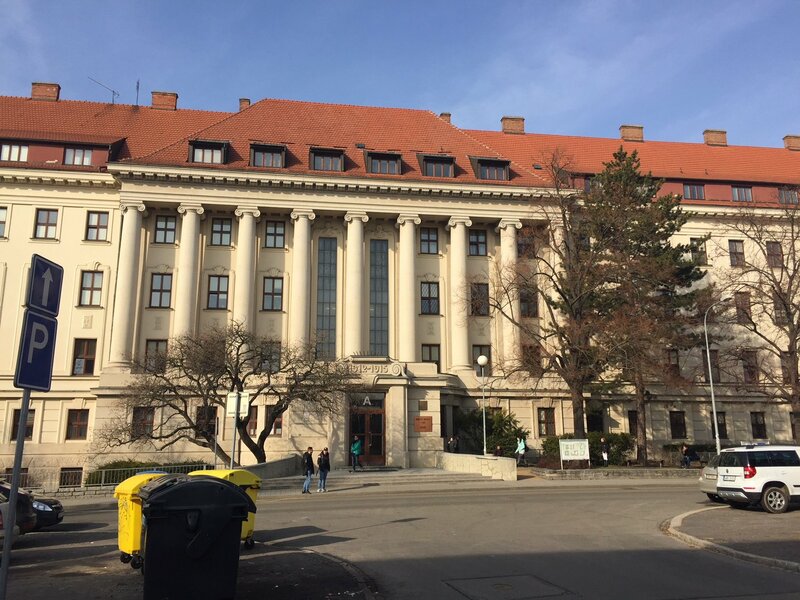 My first stop was Masaryk University. This University was founded in 1919 and is the second largest university in the country. 22% of their 35,000 students are international, but this number is misleading. My recent blog discussed how large numbers of Slovak students come to the Czech Republic for their studies. 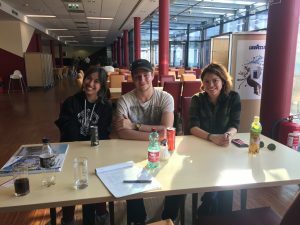 In fact, about 16% of Masaryk students are Slovak, meaning that non-Slovak international students account for only about 6%. 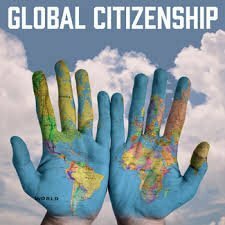 Certainly the needs of international students who are less than an hour from home and are familiar with the language and culture are different from international students from further away. Despite the lower number of non-Slovak international students, the school has very strong resources for international students. They guarantee first year housing for international students, and start the year with an international student orientation and a buddy program. Each faculty (department) has their own international student office as well as an advice dean for international students and another advice dean to work with all students around academic planning. Masaryk offers twenty-one English taught master’s and bachelor’s degree programs. All except for Medicine and Dentistry cost under 4,000 euros per year. 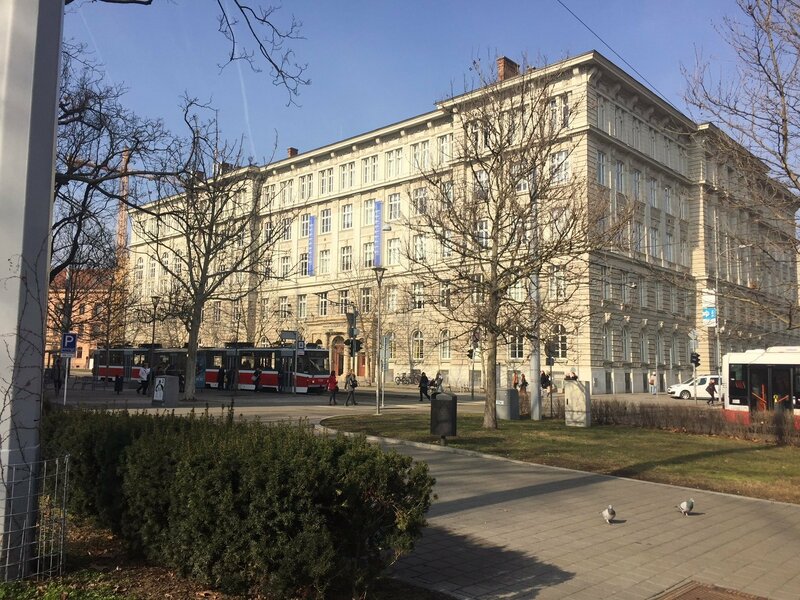 After visiting Masaryk and grabbing some Vietnamese food for lunch, I walked about 30 minutes from the city center to Mendel University. Like Masaryk University, Mendel was founded 100 years ago, but is a much smaller school. There are 10,000 students at Mendel University. International students account for 20% if you include Slovak students but the number is still high-at 10%-without them. There are so many things about this university that impressed me, that I don’t even know where to start! Let’s start with educational approach. 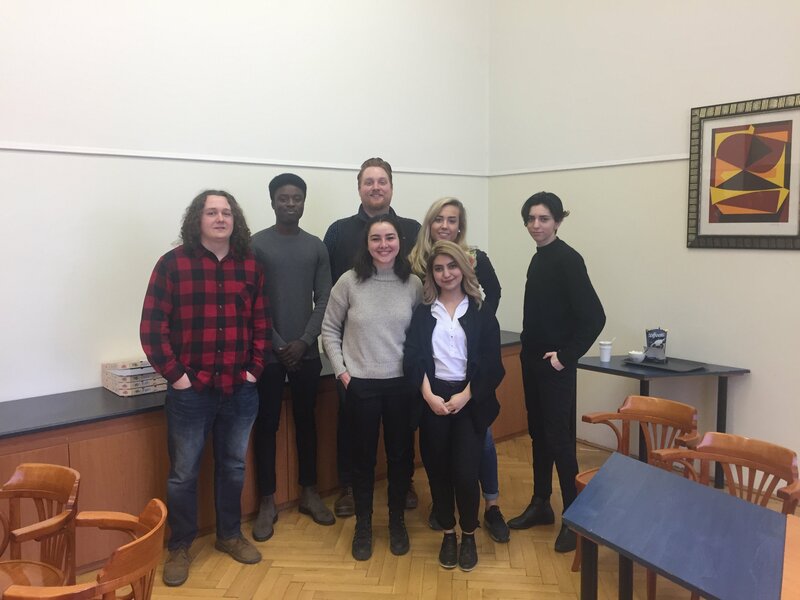 Though many countries in eastern Europe still primarily use frontal instruction, Mendel University takes a more progressive approach. Most courses include a seminar component and incorporate hands on and practical work in addition to theoretical knowledge. The school has large agriculture and horticulture faculties, with focus on sustainability. They have their own vineyard, brewery, and forest that students in the different master’s degree programs use as labs of sorts. There is talk of adding an English-taught agrobiology bachelor’s program in the future, but nothing official yet. Each faculty (department) has it’s own culture of sorts. The Faculty of Development and International Studies, which provides two of the three English-taught bachelor’s, is known for being especially dynamic, and progressive. Professors are accessible to students outside of class and even known to socialize with groups of students from time to time, like their counterparts in Northern Europe. The other benefit to studying in this faculty is that the building has it’s own dorm (with guaranteed housing) and canteen, along with classrooms. This building is less than a ten minute walk from the other parts of campus. Students take this walk through the university’s botanical garden, that is only accessible to those connected with the school. I saw these gardens in February, when nothing was in bloom outside of the greenhouses, but they were very peaceful and I imagine that they are breathtaking in the spring. Equally impressive are the resources Mendel University offers international students The provide fairly standard offerings, but take them up a notch. For instance, like many schools they offer a buddy program for international students. They make this more successful by matching students to the buddy intentionally as opposed to randomly. Of course, they offer a separate orientation for international students as well. In addition to the centralized international relations office, each faculty has at least one international student advisor. Further, the international relations office staffs a 24/7 help line for international students. This is something I have not heard about from any of the other schools I visited in Europe, and really speaks to the level of care given to international students. Excursions and events are organized by by the international relations office, different faculties and the very active ESN chapter. Mendel currently offers a total of ten English taught bachelor’s and master’s degree programs, ranging from 1470-2940 euros per year. 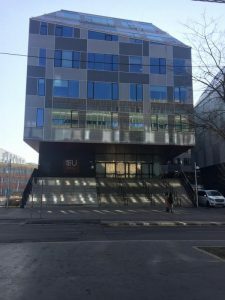 Brno is one of those outside of the box locations that I would encourage you to consider if you are looking for a great student city, high quality educational options, and strong international student resources-all at an incredibly affordable price. There is only one type of tour you will find me on, and that is a food tour. I wasn’t able to schedule a visit to learn about one of the very few English-taught programs in Slovakia, but we decided to take a day trip (less than one hour by train from Vienna). 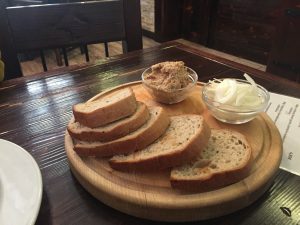 Since we just had one day, I scheduled a food tour to learn about the food and culture, while also seeing the city. Ellie and I were the only people signed up for the tour that day. Our guide, Simona, was in her mid twenties and received her bachelor’s degree in Slovakia and her master’s at an English-taught program in Denmark. 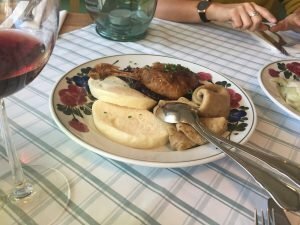 Needless to say, I learned so much from her (including the fact that Slovakian food is incredible!). Simona explained to me that higher education in Slovakia is more formal and resistant to change (which explains the low number of English-taught programs). She desired a mix between practice and theory which is why she decided to pursue her master’s degree in Denmark. Interestingly, many Slovakians go to the Czech Republic for higher education. 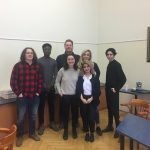 Tuition at Czech public universities is free for anyone studying in Czech-taught programs-regardless of their nationality! Czech and Slovak are very similar languages. That, along with the fact that many Slovaks have grown up with exposure to both languages, provides the Czech proficiency needed to study for free. Simona also shared her theory about why Denmark recently placed limits on the number of international students they admit. She believes that this limit is at least partially due to the cost of educating students from other EU countries. Denmark has a number of ways it supports it’s citizens, including students. One is the SU monthly stipend paid to Danish students while they are enrolled in higher education. In 2006, the EU ruled that Denmark had to provide a similar benefit to all EU students who are studying in Denmark (though there are a few more conditions around it than for Danish students). This is right around $900 per month and tuition is also free for EU students. One thing to remember here is that the reason higher education is so affordable in Europe is that it is subsidized by the government. Even though non EU students pay much more in tuition than EU students, the government still subsidizes a large amount of it. One reason some countries, including Denmark, provide English-taught programs is to benefit their own economy and labor market. Denmark, in particular, has a significant labor shortage. The Danish Ministry of Higher Education and Science conduced a study to explore the costs and contribution of international students. They found that the subsidies paid for international students (for EU and non-EU students) is “paid back” by their contribution to the economy after nine years in the country (which includes their years of study). The problem is that only one of three international students stay in the country for long enough to positively contribute to the economy. The ministry explored this to determine the types of programs that had the largest number of students returning home after graduating and are cutting the number of international student spots in those types of programs. This does not apply to all universities in Denmark or all programs. It is primarily affecting master’s degree programs as well as bachelor’s programs related to engineering. The good news is that the Ministry is working with universities to improve educational outcomes pertaining to employability of international graduates in Denmark. I have to tell you, this day spent with Simona, walking around Bratislava, eating incredible food, learning about Slovakian culture, was one of the best days of our trip. 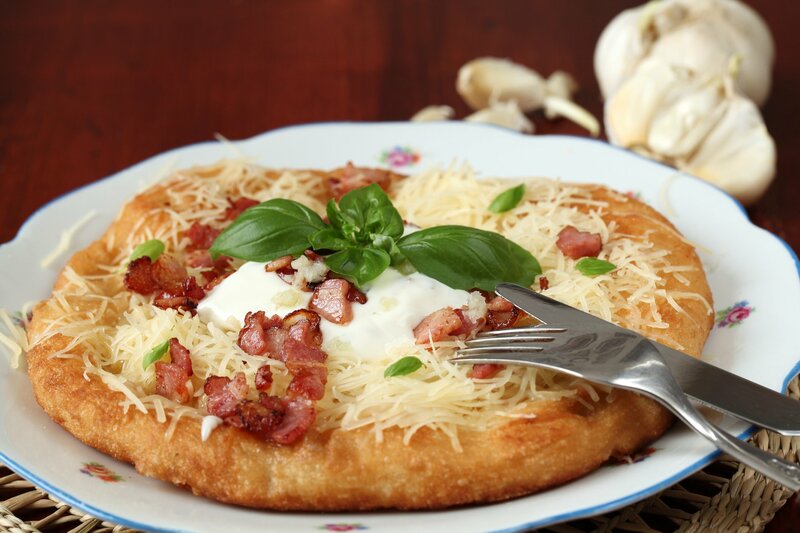 Simona has a full time job in Vienna, and helps her friend out with food tours when she can. I feel so lucky that she led our tour that day. In addition to introducing me to the surprisingly delicious sauerkraut soup, I greatly benefited from her insights into higher education! I really love train travel. It’s just so easy and comes without all the stressors of air travel. Little things make it easy-like not having to worry about where my liquids are and arriving at the station just shortly before the train departs. More than any other city in Europe, I was struck by how many places one can easily get by train from Vienna. In under 2.5 hours, you can get almost anywhere in Austria, or to many cities outside of the country, like Bratislava (under 1 hour), Budapest (just over two hours), Brno (just over one hour). The trains were on time, clean, comfortable, and affordable. The most I paid for a train ticket was to Budapest, which cost 39 euros. Vienna is a strikingly beautiful city. While the most impressive buildings are in the city center, even the residential buildings are stunning, painted light pastel colors. I was able to walk almost every place I needed to go in under 30 minutes and only needed to use public transportation once. The city is easy to navigate, clean and safe (ranked fifth in the world for physical safety). 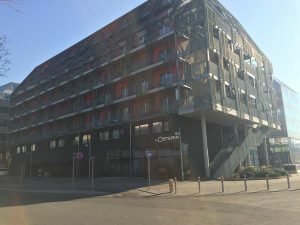 Student residences can be found for 350 euros per month, though there are new higher end options with more amenities that cost 600 euros per month (shown here). Given my background working in mental health, I was super excited by the Psychotherapy Science program offered at Sigmund Freud University. This program first introduces students to the different therapeutic modalities, and the students choose one to specialize in for their final year. There is also a focus on practice, with students starting clinical placements in their first year of study. I will provide more in depth information abut this program and school in the March Program of the Month, accessible to members. Another school that impressed me was IMC Krems. Krems is a small city on the Danube river, and is just one hour by train from Vienna. The small population of 40,000 does not impact student life, since 15,000 of those inhabitants are students! The campus is shared by the three universities and also holds one of the student residences, where single rooms cost 350 euros a month. The city center is just a 15 minute walk from campus and holds ample opportunities for an active student life. There is also an ESN office on the campus which arranges trips, parties, laser tag, pub quizzes, holiday dinners and more. A small city like this can be a great option for international students. Since it’s a student city, there are many establishments that cater to students (cafes, pubs, etc), but the size of the city is less overwhelming than a large city might be. That said, Vienna is just one hour away so students still have access to city offerings as well. I planned this trip to Austria after reading about the Medical and Pharmaceutical Biotechnology program at IMC Krems. I was very impressed by the program and featured it as a program of the month for our members. I had high hopes for their offerings, and was not disappointed! There are supports in place for international student from the time they enroll up until the time they graduate The International Welcome Center helps students with the logistics around housing, banking, visas and such when they arrive. The International Relations Office continues the support throughout the program. The school has strong relationships with industry leaders, which enriches the classroom experience and also leads to internship placements, which are require in all of the programs. IMC Krems offers seven English-taught bachelors degree programs. All are three years in duration and cost between 7800 and 9800 euros per year. It’s often hard to visualize what a university in a foreign country looks like, and what their students are like. This videogives a glimpse into the campus and students at IMC Krems. My trip also took me to Brno, in the Czech Republic and Budapest, in Hungary. Look for the newsletter in the coming weeks to find out more about the schools I visited in these cities. Interested In Learning More About College in Europe? A Beyond the States membership costs just $39 per month and includes access to our searchable database of the 1700+ accredited and English-taught bachelor’s degree programs in continental Europe. Members also benefit from monthly member Q&A calls with me, monthly office hour recordings, a private member facebook group, webinars and courses, and a highlighted program of the month. Click here to join! a minimum of either 1,360 on the SAT or 28 on the ACT. For students not meeting these test requirements, a number of college credits were required. 2 years of full time college credits (these cannot be completed at a community college or liberal arts school). With 4 AP scores of 3+ in English, foreign language, math or natural science and one other area you can apply for humanities, social sciences, and economics programs. With 4 AP scores of 3+ in math, natural science, language, and one additional subject you can apply for programs in math, technology, and natural sciences. Public studienkolleges are taught only in German. There are private studienkolleg programs, but there is a fee involved. One of the programs costs a whopping 17,500 euros for the year! This includes housing, but is in a part of Germany where housing is not so expensive. Another one, in Berlin, is 11,000 euros per year. This does not include housing, and housing in Berlin is not cheap or easy to find. Most of the private studienkollegs are connected to a particular university. In many cases, it won’t qualify you for admissions to other German universities. Further, not every German university has a connected private/English-taught foundation year program. Many students participating in the programs are there to improve their English proficiency, in order to meet admission requirements. My concern is whether this would slow down the instruction and pace of learning in other classes. So, what are your options if you really want to study in Germany? The first thing you want to do is to identify the reasons that studying in this one particular country is so important to you, and identify alternatives based on those reasons. Maybe it’s because you have enjoyed learning the German language and would like the opportunity to use and develop those skills. If that’s the case, you could consider other countries that have German as their sole official language (Austria) or their co-official language (Switzerland and Belgium). Perhaps the German culture is what appeals to you. If so, I suggest looking at schools that are very close to Germany, allowing for easy day trips. Prague is just over an hour and a half to Dresden. Salzburg is under two hours to Munich. Nijmegen is just 30 minutes to Kleve. Maastricht is under 90 minutes to Cologne. Szczecin is less than two hours to Berlin. These are close enough that you can still experience German culture on a fairly regular basis. Of course, many people are attracted to the free tuition offered at most of the German public universities! The other major consideration is that the requirement for college credits or the foundation year no longer make accessing these programs as affordable, when you factor in those costs. For instance, if you attend the studienkolleg program in Aachen, you could attend Rhine Waal University of Applied Science. Tuition here is free, but students pay an enrollment fee of 270 EUR per semester. At the completion of the 4.5 years (3.5 years for the bachelors+ 1 year for the foundation year), your total will be 19,390 euros (not including housing, of course, for the other 3.5 years). Any 3 year program less than 6,463 euros per year would cost less than this and any 4 year program under 4,847 euros per year-not to mention that you begin to generate income sooner. There are around 800 programs in our database-outside of Germany- that fall in this range. If there is a particular German university you are dying to attend or a city you feel you must live in, then there are opportunities to do so for at least one semester of your studies at another European university. This is possible through either bilateral agreements the school has as well as the Erasmus program, which allows you to spend up to a year at anther school or in an internship. 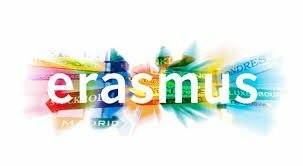 We have a blog that explains that option as well as a podcast interviewing the International Board of Erasmus Student Network. It’s a super exciting option! More than anything, I encourage students to keep an open mind when considering their options in Europe. Yes, I know there are amazing places that you already know about. I know there are places that you’ve always dreamed of going, but there are even more amazing places that you might not have considered or even be aware of. Our Best Fit List helps students and families identify programs in places they might not have otherwise considered. I create a personalized list of programs that are a good fit for the student’s personality, preferences, interests, qualifications, and budgets. Sign up for a Best Fit list today! Does College In State Cost Less than Studying in Europe? The first benefit of college in Europe that caught my attention was the dramatic cost difference! Some of our Facebook ads and posts are about these savings and people sometimes comment along the lines of “In-state is still less expensive”. First of all, I find it interesting that people express this as a fact. Certainly, there are some in-state options that are less expensive than some options in Europe, but how about more generally speaking? 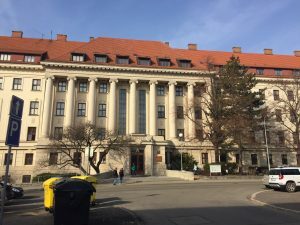 I’ve done a tuition cost comparison for public universities in the past, using tuition information from one of our members who is studying in Prague. Her tuition in Prague is right around the average in Europe, at $6,700 per year, but her in-state tuition at public University of Connecticut is quite high at $12,848 (which does not even include the almost $3,000 of mandatory fees). Since the program in Europe takes just three years to achieve a bachelor’s, she will pay a total of $20,100 in tuition. At UConn, she would pay $38,544 in tuition alone for the four year program. That’s a savings of $18,444, which does not even consider how much less expensive her housing and meals are in Prague. According to Expatistan, the cost of living is 59% lower in Prague, so the savings will still be significant, even after factoring in airfare. We recently had dinner with some family friends and their daughter, Nicole, who is a freshman at North Carolina State in Raleigh. We talked a lot about her college experience and the various costs involved. I decided to do a more in-depth comparison using the numbers she provided as well as the budget we have for Sam’s first year to see if the savings hold up. Sam will attend Leiden University, in the Hague. 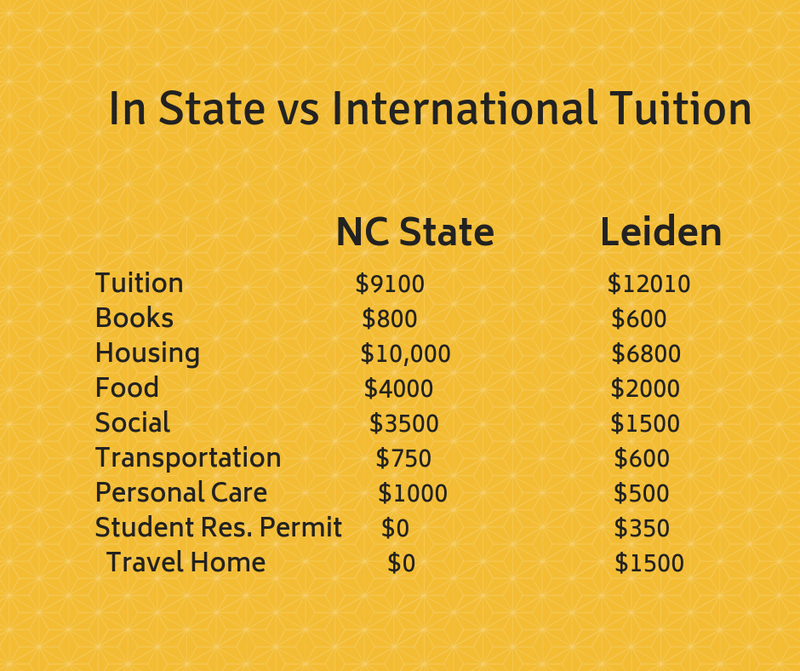 The first thing to note is that the tuition at Leiden is on the higher side of the tuition range in Europe. The average tuition for the English-taught bachelor’s programs in Europe is right around $7,000. We will pay $12,010 per year for Sam’s tuition as an international student. 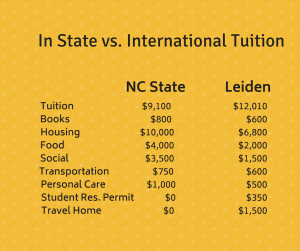 Nicole pays $2,910 less for in-state tuition at NC State. The cost of books is comparable. Food and housing is where we start seeing a big difference! In much of Europe student residences aren’t owned by the school. This creates choices for students in addition to market competition. Though students can often find housing for under $500 per month, I put the housing budget for Sam at $680. This is on the higher side of the range in order to show that the cost difference is significant even if a student can’t find the least expensive option. So, for $6,800 per school year (10 months), Sam will have a private room that is larger than the room Nicole shares with a roommate. He will either have a private bathroom or will share with one other student. He will share a common space and kitchen with other students as well. Nicole shares a bathroom with seven other students and does not have access to a kitchen, which brings me to the cost of meals…. Nicole has a meal plan through her sorority that provides 10 meals per week for $2,000 per year. Of course, there are more meals in a week than that, so she has a meal plan on campus that provides $1,500 worth of food per year and then she gets take out or delivery about 5 times per month. Her overall food total is then $4,000 (or $400 per month). There aren’t meal plans in Europe. Larger universities have cafes and cafeterias on campus, but they aren’t meant to feed students for every meal. The norm is that students cook for themselves. This is often an adjustment for American students, but so many of the students I have talked to love how meals in their student residences become a multicultural event! I’m not sure whether $200 a month, as in the budget for Sam, seems high or low to me at this point. It’s a number that seems reasonable, given what I saw on many different Dutch university websites about student budget. Certainly, $200 per month could buy a lot of ramen noodles, but I am hopeful that he expands his repertoire! One benefit to living in many European cities is the ability to use public transportation! Students in the Netherlands can take public transportation for free at certain points of the day and have discounted rates at others. The $600 total transportation budget includes local travel, travel within the country, as well as the purchase of a second-hand bike. In Raleigh, Nicole does not have access to many public transportation options. She spends about $50 per month on Uber and another $15 a month on the party bus her sorority rents to take to events. The $2,000 sorority dues are the reason that Nicole’s social budget is so much higher than Sam’s, as well as the personal care budget since the sorority events usually involve things like getting her nails and hair done and such. Sam has expenses that Nicole won’t have, with his student residence permit and costs for traveling home. Of course, there will be other expenses for both that this budget doesn’t account for, but those should be comparable enough that they would be close to a wash. So where does that leave us? Each year, Nicole pays a total of $29,150. Sam will pay $25,860. You might think that Nicole’s number is higher than it needs to be, since she is in a sorority. That would only take $2,000 per year off though, which is still higher than Sam’s yearly number. You might say to yourself that a savings of $3,290 per year is not that significant. I totally agree. Where we get to the real savings is when you look at the fact that many European bachelor’s degree programs, including Leiden, take just 3 years to complete. That make our overall savings $39,020! Also consider that Sam will be earning an income (and off our bankroll…) one year earlier which increases the savings even further. While the savings are certainly a tangible and significant benefit, we would still have pursued these options if the price was comparable. Certainly, there are other benefits like a transparent admissions process and those related to educational outcomes. Just as important to us, though, is w hat this experience can do for the overall perspective of the student. He will make friends from around the world, which helps cultivate his identity as a global citizen. He will gain great confidence from learning to successfully navigate unfamiliar situations. According to research published in the Harvard Business Review, this international experience will help his career, too. One of our members-the one who is studying in Prague-described it incredibly well. She told me that when she first went to school in Europe it felt like a really big deal. After being there for almost two years and developing the traits noted above, she feels like the world is within her reach. I can’t tell you how much I love that! I arrived in Vilnius, Lithuania, after spending 10 days in Jordan with my son, Sam. I loved Jordan, which provided so many different sensory experiences. There were the sounds of the calls to prayer five times a day which I found soothing (except the one that happen before 5 am…). There were the smells of spices and grilled meat. 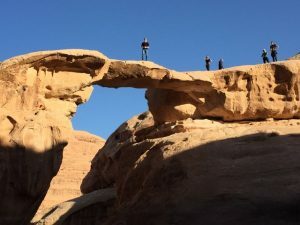 There were amazing sights I could not have even imagined in Wadi Rum (the desert) and Petra. There was the Frogger-like experience of crossing the street each time (even at crosswalks) and then there were the ups and downs of traveling with a teenager, which included good bonding conversations, as well as seemingly constant “advice” (not criticism I was told…). Though the experience was absolutely incredible, I didn’t realize how much energy it took until I got to Vilnius. I was a bit grumpy when I arrived. I flew Ryan Air-which I always say I will never do again but then get sucked in by the low price. The boarding process reminds me of the old days with Southwest Airlines-sort of a mob mentality and then the flight attendants spend the entire flight peddling their goods. 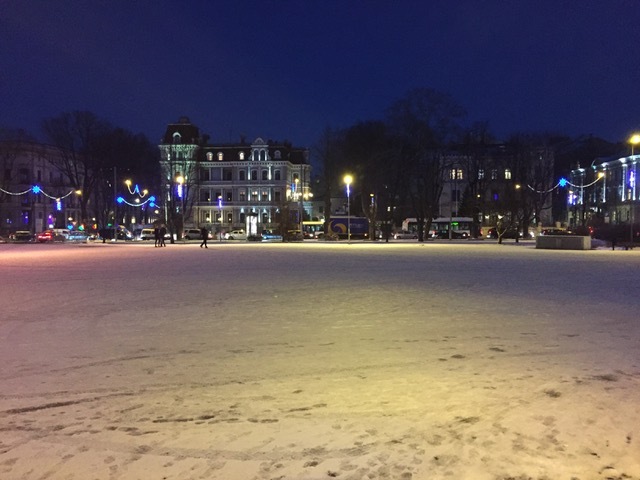 The person who came up with the idea to allow passengers to sample perfume in an enclosed space is not on my good list…We got to Vilnius late, and the cold fresh air when I walked out of the airport helped improve my mood almost immediately. I had the weekend to explore the town before my meetings at universities began on Monday. I like visiting places in winter, as if you like a place as it’s worst weather wise, then you can imagine how great it would be at other times of the year. There are some places that felt depressing to me in the winter, like Sofia, Bulgaria and Warsaw, Poland. 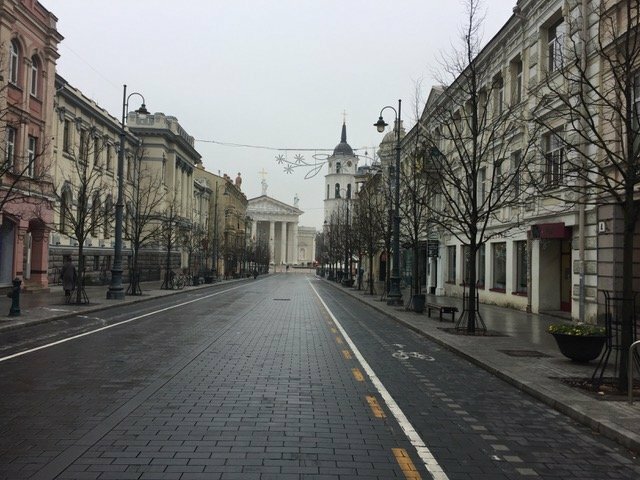 Though the skies are just as grey in Vilnius winters, I didn’t have that same feeling. “Hygge” is a Danish word, that has been entirely worn out internationally now, but really applies to Vilnius. The simplest way of describing it is a really cozy feeling. There are a ton of coffee shops with comfortable seating and lit in a certain way that make you want to go in with a book. There are wine bars-again with the warm lighting-with signs for mulled wine. 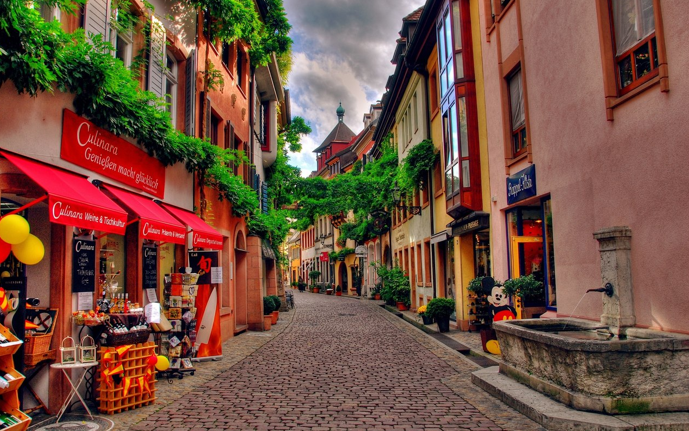 The streets are clean, the architecture is beautiful, the people are friendly. I felt like I wanted to listen to classical music as I walked around the city (which is not something on any of my playlists). It just felt nice, and calm, and cozy. Now, what I appreciate as a woman in my forties is very different than I would have liked as a college-aged student! This made me especially curious about student life in the city. I noticed that I didn’t see a lot of college-aged students out and about. Of course, it’s quite possible that the hours that I am out are not the hours in which college students are out (or awake). Certainly there are cafes, bars, nightclubs, theaters and more. It did get me thinking about the international student experience though. One thing to note is that when a school reports their international student number or percentage, it includes all levels of study (bachelor’s, master’s, doctorate) AND almost always includes exchange students. This makes a huge difference! The international student percentage at Vilnius University, for instance is right around 9%. While that’s not a huge number, it’s not alarming. When you look at the percentage of degree seeking international students, however, it’s less than 3% and, again, that includes all levels of study! So, why does this matter? For one thing, it can impact whether or not there are sufficient resources for international students. 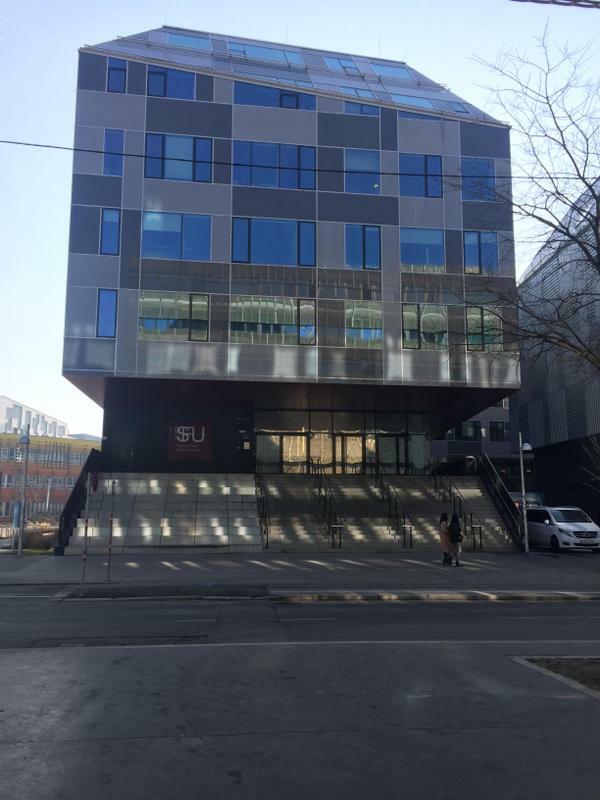 Vilnius University does not have an international student association or an international student office. They do offer an orientation week for international students (which includes exchange students) and they have an ESN office, but these are more directed at the exchange student experience. Further, one of the great benefits around studying in Europe is that students form friendships with people from all around the world. If half of your peer group leaves after just one semester, those meaningful bonds are harder to form and maintain. Academically, Vilnius University has some strong programs and may be a good fit for some students. A student who is a little older may have the independence required to get their academic and social needs met. A student with a Lithuanian background may know enough of the language and culture to socially integrate with local students. These are just important considerations when looking at a school. 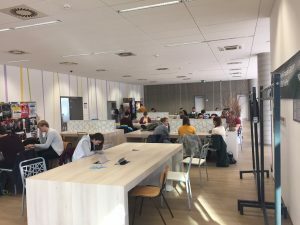 The international student population at Vilnius Technical University is similar to Vilnius University when you include exchange students, however it’s right around 5% when you look only at degree seeking students. It’s still small percentage, but they do have resources in place for their students. There is an office staffed with four people who work specifically with international degree students reading problems, questions, where to find resources, and more. Since they are a smaller university, they do this as the university level so all international students get the same information. There is an international coordinator in each academic department who helps students with the academic piece of things. They also have a mentor program for new degree seeking international students. Additionally, they reserve the newly renovated student residences for international students, which cost under 150 euros per month! After recharging in Vilnius, I enjoyed the energy in Riga! It’s more urban, with people of all ages out and about at all times of day. It’s also remarkable beautiful with striking Art Nouveau architecture and abundant green space. Though the population is under 650,000 (similar to Portland, Oregon) it is the largest city in the Baltic region and, thus, provides an active night life. It’s an incredibly affordable city, even more so for students. For instance, students pay just 16 euros a month for an unlimited public transportation pass (the regular price is 50 euros). I really fell in love with Riga and it’s now on my list of favorite cities in Europe. Of all the schools I visited on this trip, I was most excited by what I learned about Riga Technical University. Their total international student population is 15% which is at 10% when you subtract exchange students. The international student body is diverse, representing 87 countries. Not only does the university have an office that assists international students, but they also have an International Student Council which represents international student interests and arranges social events. Unlike most universities in Europe, the university has a true campus, just a 25 minute walk (or 15 minutes by bus) from the city center. The campus houses the different academic departments, dorms (which cost 65-180 euros per month), and an Olympic size pool (there is a large recreation center off campus). There is a large shopping center directly next to the campus which includes a grocery store. The buildings were very well maintained, inside and out, which is not always the case with public universities. Each program is split into groups of no more than 50 students for lectures with much smaller groups for labs and computer classes. Students are always taught by professors (not assistants) who are accessible for help outside of the classroom as well. All of the four year programs are very hands on, with lots of labs and internships in order to prepare students for the workforce. They evidently do a good job at this, given their strong reputation with employers. When I visit schools I look for strong academic programs and educational outcomes and an environment that supports international student life-academic and otherwise. Riga Tech checked all of these boxes. 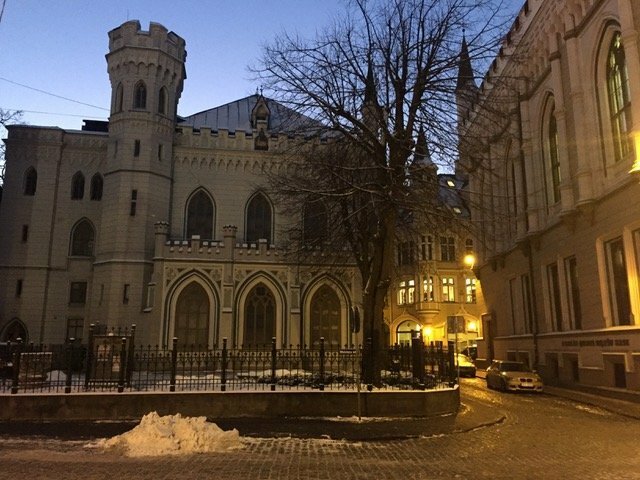 My visits to the other schools in Riga helped me realize other questions students should ask when exploring a particular school or program. The majority of the international students in the other schools I visited are in just two programs (the integrated Medicine and Dentistry programs). There are only a handful of international students in each of the English-taught bachelor’s degree programs, and these students represent just a few countries. At one of these universities, classes for international students in the English-taught programs are separate from Latvians in the English-taught programs so it’s almost like private classes taught by the professors. While there is something to be said for the personalized attention in the classroom, I’m concerned about how isolating this would feel. What is the number of degree seeking international students? How many countries are represented by the degree seeking international students? What is the percent of degree seeking international students in the program of interest? Is there an international student council? What types of international student associations are at the school? Is there an international student office at the university level? Do they work with degree seeking student exclusively or also exchange? Is there an international student coordinator at the program level? Is there a mentor/buddy program for international students? After gathering that information, you can consider the impact each area would have on your own personal experience. Our next college fair is the last one this school year. This free event is scheduled for the weekend of January 12th. You can register here. A Beyond the States membership costs just $39 per month and includes access to our searchable database of the 1,700+ accredited and English-taught bachelor’s degree programs in continental Europe. Members also benefit from monthly member Q&A calls with me, monthly office hour recordings, a private member Facebook group, webinars, and courses, and a highlighted program of the month. Click here to join! Ahh…..the end of the school year. Sam is completing his junior year of high school and Ellie is finishing 8th grade. It’s hard to believe that it was this time three years ago that I learned about the possibilities for college in Europe. Man, I can only imagine how different the last three years of our lives would have been (as well as the next four) if we didn’t know about these alternatives. Many of you know that I believe that the benefits provided by the transparent admissions processes in Europe have as much of an impact on our lives as the incredible amounts of money we will save. I’ve been hearing all sorts of stories about students who are “perfect applicants” not getting into their top choice schools, which also creates stress among the kids in Sam’s grade. Our year has been pretty relaxed (at least as it pertains to college admissions). Before Sam knew exactly where in Europe he wanted to study, we knew that in order to keep his options totally open he would need four AP scores of 3+*. It would not help him any if he had ten AP scores of five, he just needed the three or four scores to make his US high school diploma the equivalent of the diploma needed to attend universities in Italy, Norway, Denmark, and the research universities in the Netherlands Though the vast majority or schools in Europe do not require AP courses, our game plan was to plan his high school courses to keep as many options open as possible. Sam took one AP course last year, he is taking two this year, and he is registered for two his senior year. He has found this workload to be reasonable, and he has registered for the fifth AP course next year in case he does not get a 3 or higher on one of the tests he will take this month. By the summer before junior year, Sam had zeroed in on what he wanted to study, so we came up with a list of programs that would be a good fit for him (a service we also offer to members). Of the possibilities, one stood out far ahead of the others. Sam has a huge interest in the Middle East and Arabic. Because he hasn’t had to spend his high school years playing the US admissions game, he has been able to cultivate this interest on his own. Leiden University, in the Netherlands, has an International Studies program that allows students to choose a region and related language to specialize in their second year. Given that the Middle East/Arabic was an option (of eight regions and 22 languages), Sam preferred this program over the other more general International Relations programs we were looking at. Most of the programs at Leiden-and in the Netherlands as a whole, have a completely transparent and non-competitive admissions policy. If you have the qualifications that are defined, then you are in. Period. 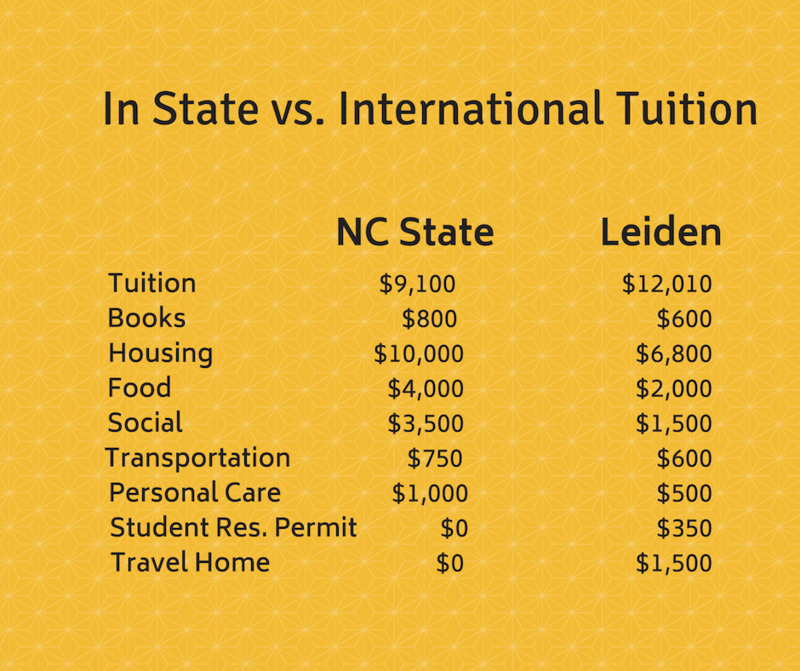 Leiden requires a 3.5 GPA and 3 AP scores of 3+. Sam’s GPA is in good shape and he’s on track for the AP scores. They open their rolling admissions period in October. Sam will apply then and have his admissions decision before Thanksgiving. If he has his AP scores, there is no question as to whether or not he will get in, so he doesn’t need to apply to a number of universities. His first choice school is also his safety school! I’d like to caution you against thinking that this admissions process is indicative of a lower educational quality. It is not. Universities in the Netherlands are extremely reputable worldwide. They have a different philosophy to access to higher education and students have to prove that they have what it takes to succeed the first year of study, passing a preset number of courses or they are not allowed to return the second year. Later this month, I will share a few examples of choices we have been able to make to opt out of the problems with the US path to college admissions. Spoiler alert-opting out feels great!! *As of October 2018, Leiden now requires US students to have three AP scores of 4+, with four scores of 4+ for the university college. To Stay Out of the Rat Race, You May Have to Insist! As I’ve mentioned before, I founded Beyond the States after exploring the possibilities for my own kids. This was three years ago and they will now be entering 9th and 12th grade this fall. High school has been an incredibly different experience than it would have been, if we didn’t know about college in Europe. If you are new to our the journey, be sure to check out the blogs on the admissions process because Europe’s transparent admission criteria make as much of an impact as the savings in tuition! My son, Sam, had a few concrete opportunities to opt out of the US admissions rat race and we were quick to grab them! When registering for his senior year classes, Sam elected to take two non-credit opportunities. One is a study hall, which helps him stay on top of his work since he has an after school job. His job as a cashier at a grocery store has been of tremendous value and taught him lessons and skills he would not gain at school. He also arranged to be a teaching assistant (TA) for one of his teachers. Though not a credit opportunity, this entails new types of responsibilities and learning. After submitting his registration, his counselor emailed him and told him that he needed to choose one or the other and sign up for another credit class. She said that if she didn’t hear from him in a week, she would choose a class for him. Seriously? I’m a big fan of having Sam handle this type of thing on his own. We had already dealt with having his counselor automatically saying “No” to anything outside of the box and then having to go up the chain of command to get accurate answers. For that reason, I shot her an email inquiring about this policy. As it turns out, it wasn’t necessarily a true policy and all I needed to do was fill out a form to have this approved. His counselor cautioned me about taking this path. She said “Sam will likely have to explain to colleges why he is only taking 4 credit classes when his peers are taking between 5 and 7. It will be a disadvantage to him when it comes to admissions and based on his GPA, I am assuming he will be applying to more competitive colleges that will be looking critically at what students have done in high school.” I can’t tell you how much pleasure it gave me to explain Sam’s college situation and ask her to send the form! SAT/ACTs are another way we benefited this year. The university Sam is applying to does not require a certain score for these tests. Most schools in Europe don’t require the test at all but again, in order to help Sam keep his options open, he did take them. The overall communication from Sam’s high school is not the best in the world. I had emailed them to find out if/when they were offering the ACT. Since nobody got back to me, I signed him up to take it on a Saturday at a nearby high school. Shortly after he took the test, his school sent an email saying that they were administering the test and that it was mandatory for all juniors. I let his counselor know that Sam wouldn’t be taking the test, since he already had and we were fine with his scores. I was told that taking it at the school was mandatory and that “taking the test again could benefit him as most students scores increase the second time they take a test simply because they are more comfortable and know what to expect.” Sigh. Guess what it took? I just had to push back enough to find out that I could opt out if completed another form. So in addition to being able to opt out of these problematic mindsets and systems, Sam has had time to gain skills and cultivate interests outside of school. He is currently spending a month in Rabat, Morocco through a program with CIEE, an opportunity we were able to afford since we don’t have the financial worries that accompany college in the US! Earn your degree while seeing the world. You’ve decided to go to college overseas. Or maybe you’re just checking out your options. Either way, you need a trusted advisor to help you understand how to get from here to there. That’s where Beyond the States comes in. We help students and parents find the right college for them outside the US. Sign up for our newsletter. We’ll keep you up to date with the latest information about getting a college degree in Europe. © 2018 Beyond the States. All Rights Reserved.